After its initial phase (2011-2016) Armenia is moving away from its humanitarian measures and into a development phase with a 2018-2020 National Response Plan. Very soon Armenia's National Integration Strategy and the Country Response Plan will be published. This is a document aimed at resolving the issues of Syrian refugees in Armenia. For it to turn into real action, it will soon require Prime Minister Karen Karapetyan's full support. Just over a year since the last Syrian Refugee Summit held in Yerevan in February of 2016, the "secretariat for refugee integration" was form. This effort was housed within the Ministry of the Diaspora & funded in part by the Gulbenkian Foundation (kudos to Dr. Razmik Panossian, Director of the Armenian Communities Department @ Gulbenkian). The team concluded its draft plan and is shifting the focus into Armenia's Country Response plan to integrating refugees. This is something we & many of our partners have long advocated for. This is a commendable effort by the staff headed by Ms. Narine Karinyan and under the leadership of Minister of Diaspora, Madam Hranush Hakobyan. We also found the inclusiveness of the process to be praiseworthy as well. The staff reached out for input to NGOs and donors and solicited input while listening. This framework is also a golden opportunity for Armenian NGOs to learn how to collaborate. All in all, despite delays, it was a comprehensive effort. The Integration Plan addresses key priority intervention areas including housing, healthcare, education and economic integration and lists policy and action interventions in each context. The Plan offers suggestions for various provisions and seems to offer the policy choices. From a "National Response" and capacity point of view, we view this Integration Plan the first institutional framework that attempts at coordinating fragmented efforts of the past few years. And while we were frustrated at how long it took to develop, we remain excited as it marks an important milestone in the young republic's learning curve in an area that has challenged many advanced economies. Please note that Armenia is one of the world's leading countries in terms of the ratio of welcomed migrants to its number of native inhabitants. 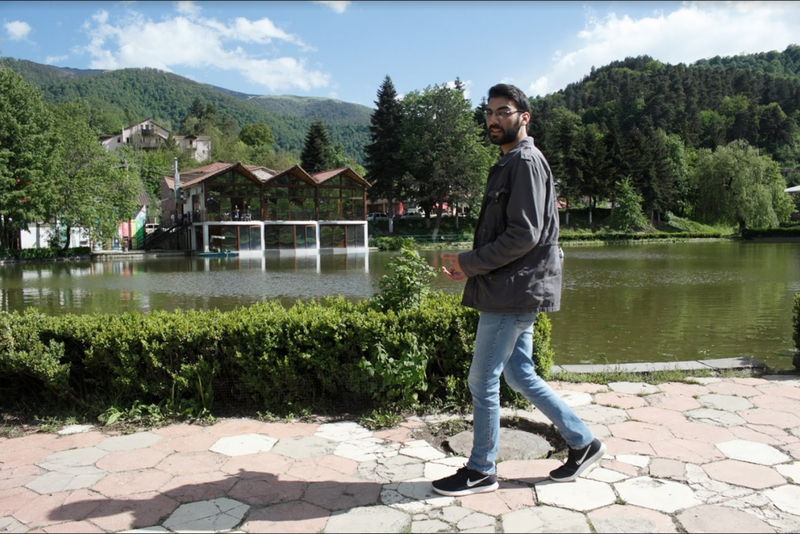 Syrian refugee Khachig Charshafian in Dilijan where he and his family were settled during ARP's regional pilot integration project. Photo credit James Aram Elliot on assignment for the ARP, 2017. Armenia's next challenge beyond welcoming refugees will be to actually integrate them. Historically, Armenia's track record on integration is at best mixed. This ranges from the 1946-48 migration (nergaght) all the way to the recent refugee influx from Azerbaijan in the early 1990s. The plethora of academic and policy prescriptions on integration demonstrates that there are few absolute answers. In our experience, we feel that beyond publishing guiding documents, "political will" that drives practical outcomes in the lives of refugees can be useful. This is why Prime Minister Karen Karapetyan's leadership in this mater is very important. An effective Integration Plan is truly a multi agency initiative and will go far beyond the jurisdictions of the Ministry of the Diaspora. It will also require public finances and other commitments that only a Prime Minister can make. The upcoming Integration phase will not only deal with the challenges of finding basic, decent housing for refugees, but will tackle the bigger issues of how to help refugees rebuild new lives, find their place in Armenia and participate productively in Armenian society. Syrian refugees integrating well in Armenia's public schools in Gumri. In our conversations with dozens of Syrian refugees in Armenia, we have noted that they want what most of us want in life: to feel safe, to be treated fairly under the law, to work, to be surrounded by their loved ones and to see a better future for their children. Many Syrian refugees like Vartoug ( airlifted from the embattled town of Kobani Syria with her extended family by the ARP) have benefited from Armenia's multifaceted assistance to refugees, including education. After seeing the anti-refugee mood in the West, many of the refugees seeking refuge in Armenia seem ready to settle with proper assistance. In the case of Armenia however, much of the what refugees require is also needed by 30% of Armenia's population that lives under poverty. We understand the challenge faced by the Prime Minister in terms of allocating resources. However, If the Prime Minister can work collectively with the Diaspora and international donors to provide key building blocks for a better life to refugees (and why not some of the local population), we feel he will turn a humanitarian crisis into an opportunity for Armenia. Syrian refugees are a diverse source of human capital to Armenia. Their presence is already being felt in Yerevan and beyond. We hope PM Karapetyan's response will be similar to PM Angela Merkel's : "Wir schaffen das" ( translation: We Will Do It ). We have every confidence that he will do so, even in these difficult times. Founded in 2014 and pioneered by the Ani & Narod Memorial Foundation, ARP is a defacto action oriented think tank & a non-profit social enterprise alliance among Diasporan Armenian philanthropists , NGOs & International aid organizations aimed at complementing the efforts of the Government of Armenia in improving the lives of Syrian refugees that have taken refuge in Armenia through affordable housing. The effort included contributions from donors like the Gulbenkian Foundation, the Jinishian Foundation, the Western Diocese of the Armenian Church, Denmark’s Mission East Armenia Branch, The Syrian Armenian Relief Fund (SARF), along with the project’s in-country partner Oxfam Armenia. Individual donors included Philantropists Gerald Turpanjian, Carolyn Mugar, Zaven Akian & Adam Kablanian. ARP has been acting on its values in Armenia through its operating partners in Armenia, Oxfam and Mission East. As a humanitarian actor & a host country, Armenia is one of the world’s leading countries in terms of the ratio of welcomed migrants to its number of native inhabitants. Hundreds of Syrian refugee households in Armenia have not faced homelessness thanks to the efforts of the Ministry of the Diaspora, UNHCR and consortiums like the Armenian Redwood Project.